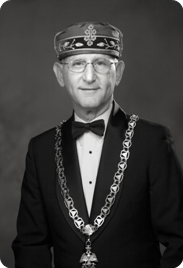 It is my pleasure to welcome you to the web site for the Orient of Kansas of the Ancient & Accepted Scottish Rite of the Southern Jurisdiction of the United States of America. The seven Valleys, or cities, comprising this Orient are each working very hard to expand and improve Scottish Rite Masonry in Kansas, and to fully support the five RiteCare clinics, which provide much needed assistance to children experiencing speech, language and learning challenges. I wish to thank you for viewing our site and hope that you find it both interesting and informative. If you are a Mason and wish for further information regarding how to become a member of the Scottish Rite, please feel free to contact the Executive Secretary in the Valley closest to you. They will be happy to assist you in any way they can.